Dec 21, 2018 | Reviewed by B.K. My mother moved into Brookdale Hawthorne Park, and its been a very good experience so far. All the residents are great, from all the workers to the managers; I have no complaints. She has a small room, but its big for her, with a bath, a shower, and each little hall has a dining area, and its all one level. It has a library, it has a big screen, a popcorn maker, it has a little area, like a theater area, and it has two courtyard type places. The best way to get to know a community is by scheduling a tour. See the facilities, meet the staff and residents, and get a feel first hand what it's like to live at Brookdale Hawthorne Park Assisted Living. 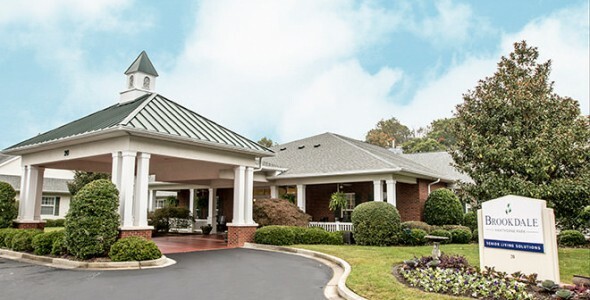 Brookdale Hawthorne Park (formerly Emeritus at Hawthorne Inn at Greenville) offers a homelike setting and cheerful smiles from our professional staff who greet you every day. Our caring staff offers the assistance you need while respecting your independence. Our community is proud to be a part of Brookdale. Since 1978, Brookdale has been dedicated to enriching the lives of seniors with compassion, respect and integrity. and daily activities add to our residents' daily experience. They will tell you they appreciate all the options while living at a Brookdale Senior Living community. service ensure that you are only paying for the services that you need. The sense of community is all around you when you become part of our family at Brookdale Hawthorne Park. Through special events, activities, clubs and on-going cultural enrichment programs, we offer unlimited opportunities for you to get to know other residents and us. Call to set up an appointment for a tour because we delight in showing you our home. At Brookdale Hawthorne Park, our family is committed to yours.